Simply switch the CME4 on, press it down on to the surface and take readings from the clear analog dial. 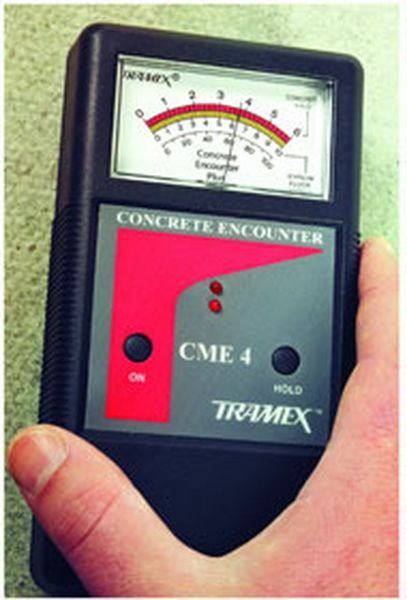 Tramex has been designing, manufacturing and marketing worldwide, non-destructive moisture meters for more than 20 years. You can, therefore, purchase with confidence that you are getting the latest, and yet the most practical and useful, moisture measurement instrument available to the flooring industry.